O.R. Solutions Inc. ORS-2094R Solution Warmer with Mobile Stand . New Life Scientific, Inc. 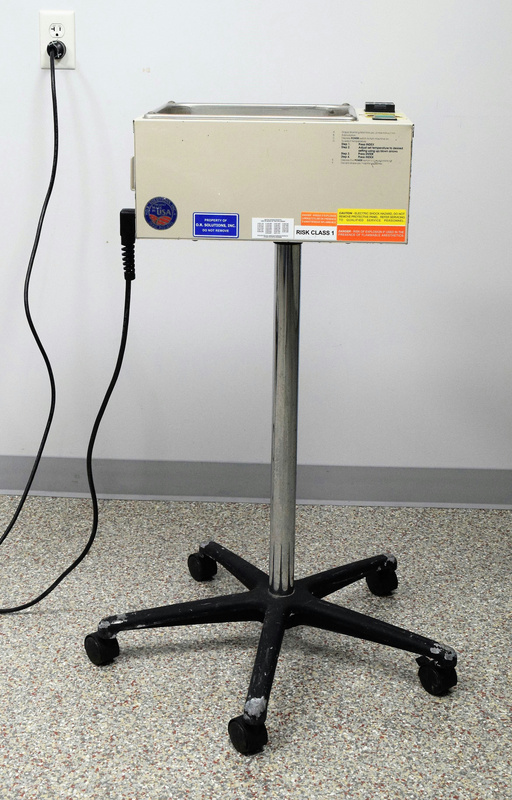 The ORS Fluid Warming System provides immediate access to warm irrigation fluid at a visible and controlled temperature to increase patient safety to reduce the risk of hypothermia. The basic size meets clinical needs and protocol. The temperature setting can be adjusted and locked. Normal temperature range is 115º F. On a sturdy stand for easy mobility. New Life Scientific technicians powered on the instrument, warmed the bath, and checked for temperature accuracy. The display reached 115°F which matched the secondary thermometer. Some minor cosmetic wear, in great working condition. 6.6 Liters Max. / .75 Liters Min.